Tributes to Ernesto, together with messages of condolence have been flooding in from all over the world. We are proud to show them here, and will add more as they arrive. I couldn’t find any word, I am very very sorry. I am deeply saddened by this horrible news. Ernest and Jean-Claude had been among the most solid pillars of the WBF. Their tragic loss touches all of us deeply. It was an honor to have served with Ernesto for my 11 years on the Executive. Ernesto was the WBF and all those that followed learned from him. He truly loved the game as a great administrator and expert player. His devotion to the game is matched by few. Beverly and I send our condolences to Cecilia and family. My deepest sympathies. In the very limited time I spent with Ernesto, he seemed like a truly wonderful person. I am so sorry to hear this. My deepest sympathy goes out to his family. A huge loss for the bridge World,condolences to all friends. This is a truly devastating piece of news, which I for one am having great difficulty coming to terms with. To say that he’ll be sorely missed would be a gross understatement. God bless you Ernesto for all that you did: RIP. Both Brenda and I are shocked by the loss of another good friend. Our thoughts are with Cecilia and the d’Orsi family. We wish them strength in these painful moments. Carolle and I are deeply saddened by this news. Our thoughts are with Celia and the family at this most difficult time. News of Ernesto’s sad and untimely passing away is as much distressing as it is shocking.My heartfelt condolences to the bereaved family.May God Almighty rest his soul in peace and give Cecilia, his sons and daughter courage to bear the irreparable loss! I have been late Ernesto’s acquaintance and friend for last over 35 years. In fact , he and I joined Executive Council together in 1980.During his tenure as WBF President I was appointed as a Vice President in 1991. In his long association with WBF, it grew from strength to strength , in large measure thanks to excellence of his organisational and technical expertise. As my colleagues in WBF may agree, we have unfortunately lost a strong pillar of the organisation we all belong to and we will always miss him. I am so sorry to learn about the passing of Ernesto. I know what a tremendous force he was for the World Bridge Federation and what a terrible loss this is. A very sad day for the bridge world. We are shocked by the news of Ernesto D’Orsi passing away and want to express our deepest condolances. Awful serie I am very sad I appreciated the officier I liked the man very much. That is indeed terrible news. We are so sorry. Ernesto was a good friend since 1985. É una notizia tristissima, ancor più perché inaspettata. Ernesto era una persona deliziosa, fatta con uno stampo ormai perduto. Conosco troppo poco Cecilia per importunarla con una mail di condoglianze quindi ti prego di porgergliele tu per me alla prima occasione. I was both shocked and deeply saddened to hear this news. Ernesto was such a special person who will be greatly missed. My thoughts are with Cecilia and family at this very difficult time. I have worked with Ernesto for twenty years, first in my role as IT manager for the WBF and then later as Masterpoint Secretary. Ernesto was always a joy to work with and a pleasure to be with at social events. He was one to embrace the changes in Bridge but always tempered with an insight that came from his years in the Bridge world. His views were always respected by everyone one I knew and with his passing I have lost a dear friend and colleague. My thoughts and condolences go to his delightful wife Cecilia. Having known Ernesto since I first started with the WBF in 1981, he has been a huge and important part of my life for many years. In addition to being an incredible bridge administrator and organizer, and a wonderful President, he was above all a very dear friend. I will miss him enormously and send my most sincere and heartfelt condolences to Cecilia and his wonderful children and grand-children who must all be devastated. RIP Ernesto. You will not be forgotten. I have known Ernesto for 27 years, and I can’t take on board that he is no longer there. Thank you for being part of my life Ernesto. Rest in peace my friend. So sorry to hear this. Deepest sympathy to his family and friends. I am shocked of course but not entirely surprised. He made a comment to me in Sanya that made me think he had been living on “borrowed time” for while. Life was not always easy for Ernesto but he rode the ups and downs always with a smile and never with resentment.And he never stopped working for the WBF. We will miss him- he was irreplaceable. But our thoughts must first be with Cecilia and his family. May he rest in peace. Goodbye Ernesto, I cannot find the words to tell the pain I’m feeling since I knew that you had left us. With you our little world lost its wise and smiling soul. We will all miss you a lot. A great person left us, who payed his kind attention and spent his valuable help also to the new colleagues. I am deeply saddened by this second bad news in shortest time. I am deeply saddened to witness the sudden departure of individuals who had become monuments of our Bridge World and History. Ernesto was certainly one of them. Having not worked with him, I am unable to contribute here but, by talking and listening to all those who knew him very well (and had worked with him), the description they make leaves no doubt that we had a great talent and personality among us. A new great loss in the WBF family! Over thirty years of friendship and respect for a real Gentlemen, so much involved and effective in the management of the WBF, sensible and dedicated to the seniors’ matters and they have always recognized him as a charismatic and distinguished authority. We’ll deeply miss him. On behalf of the Australian Bridge Federation I would like to express our sympathy to the family of Ernesto, and to the World Bridge community. We appreciate all that he did for bridge over many years. I know Ernesto since 1994, and I can say that I consider him as a friend. Each time we meet during a championship or when he was coming to Paris it was a pleasure to discuss with him as not only he was found of bridge, but also of lot of other subjects, and he was also very kind and attentive to everybody. I do not forget Cecilia which was part of him and in this moment I think of her and share her sorrow. Ernesto’s passing is a great loss to the WBF because Ernesto was largely the WBF itself. Much bigger than his tiny big Zone, he was a compromising contributor to our championship department and an avid supporter of our leaders – to the benefit of our organization. 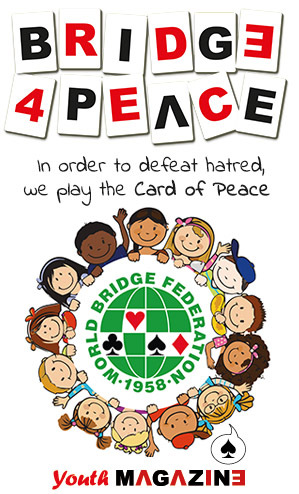 Shocked to learn of the passing away of Mr. Ernesto d’Orsi, WBF Executive Council Members and Past President, I would like, on behalf of the Chinese Contract Bridge Association and in my own name, to express our deep condolences to you, and through you, our sincere sympathy to the bereaved family. Mr. d’Orsi has dedicated himself to the development of bridge throughout the world. He will be remembered by all the friends in the field of bridge. 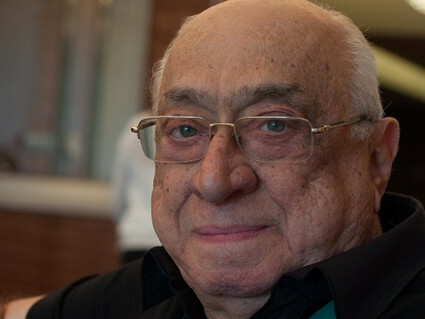 The president and members of the Bridge Federation of India as well as the bridge fraternity in India would like to express our sincere condolences at the loss of Mr. d’Orsi, one of the leading lights of the game of bridge. We wish you strength at the loss of a close friend. We were looking forward to meeting with him next month in Chennai and for his experienced guidance in our efforts towards organizing the championships. I request you to kindly communicate our message to his family that we are sorry for their loss and wish them all strength in this difficult time. I am sorry to hear the sad demise of Mr. Ernesto d’Orsi on 9th January.My heartfelt condolences to the bereaved family. May God Almighty give his family enough fortitude to bear this irreparable loss and grant eternal peace to the departed soul. He was a strong pillar of WBF and his contribution to the game of Bridge shall always be remembered. I was really saddened to learn about the passing away of Ernesto d’Orsi. I had the opportunity to lunch with him at the same table in an outing near Sao Paulo in 2009 and exchange many pleasantries. He was indeed a great man. On behalf of Zone-4 member NBOs, I would like to extend our heartfelt condolences to the members of his family. His absence from WBF will certainly be missed by all and his services to this organization will long be remembered. I learnt through Mazhar Jafri about the Sad new of Ernesto Dorsi, Executive member and a Past President of the WBF. The News is indeed distressing and shocking My heartfelt condolences to the bereaved family and the Bridge Fraternity, May God Almighty rest his soul in peace and give his family courage to bear the irreparable loss! It is very unfortunate to hear the sudden demise of our popular V.p and a sincere support to WBF bridge Sri Ernesto d’Orsi and share my sorrow and grief along with you all. In fact we are all geared up to receive him and expected to learn more from him. Convey our heartfelt condolence with all the members of WBF and also with the members of all the family. I was deeply saddened by the news. Ernesto was a person a worked in close contact with, and I could always rely on his advises and paternal support. More than that, he was a very good friend, and a charming person. I’ll sorely miss him.